If you’ve been in the church for any amount of time — particularly a traditional church — you’re probably familiar with the Serenity Prayer. 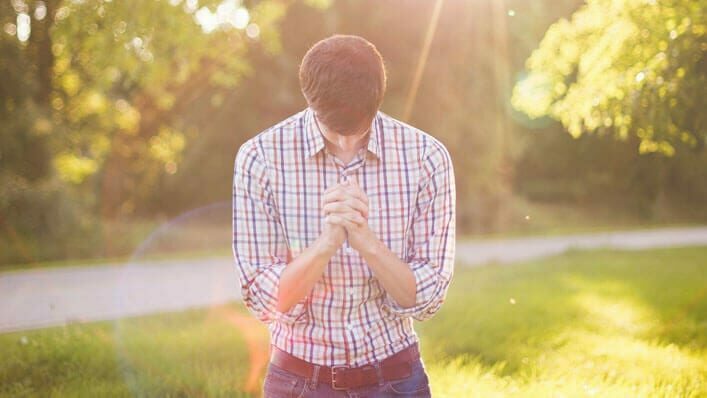 Written by Reinhold Niebuhr, the Serenity Prayer is a humble submission to the Lord, giving up the things we cannot control, and trusting Him to provide just what our hearts need. Serenity is the state of being calm, peaceful, and untroubled. You’ve heard it. You’ve probably even prayed it. The Serenity Prayer is one of those common references that holds a LOT of power, but tends to lose it’s emphasis the more it’s used. Think about John 3:16. If a pastor references John 3:16 during a sermon, it can be easy to gloss over it. Not because it doesn’t matter, but because it’s something that nearly everyone knows. It’s the verse you were first taught at 5 years old with a cute little jingle and an Awanas badge, and it’s been burned in your brain ever since. I feel like it’s the same with the Serenity Prayer. We often pray this BOLD prayer in submission to the Lord when things are out of our control. But do we really stop to think about the words we’re saying? Y’all, those are fighting words right there. Praying for God to give you this type of peace, means surrendering fully to His plan and His ways. And that’s a lot easier said than done. The Serenity Prayer is so much more than reciting a well-known phrase. It’s not something to gloss over or take lightly. When praying the Serenity Prayer, I challenge you today to go beyond the first part. Dive deeper into the words. Put your soul into the communication you’re having with the Lord, and fully surrender your ways to His. Otherwise, we’re just praying fighting words that hold power and punch, without ever lifting our fist.